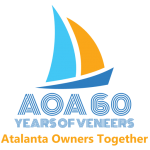 AOA60 was a great success. 14 members came from far and wide and 5 Atalantas were co-located at Suffolk Yacht Harbour, Levington, Suffolk. A1 stayed on dry land, but A16, A89, A102 & A124 went sailing most days.